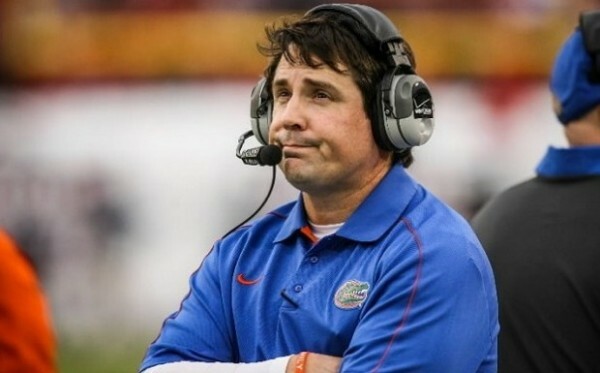 IT seems that the Will Muschamp era at Florida comes to an end, with the head coach being let go at the end of the season after another poor performance from his team, especially on offense. He’ll get the chance to be on the sidelines in the next two games but will be let go once the regular season ends. There’s no surprise coming from Muschamp as the news of his impending termination. He knew this season was a chance to turn things around from the torrid 2013, plagued by injuries and embarrassing results. The only positive thing to take from the 2014 campaign was a win over Georgia after three consecutive losses to the Bulldogs. Even that wasn’t going to save his job, not when it was followed shortly by losing at home to a bad South Carolina team. I was given every opportunity to get it done here and I simply didn’t win enough games — that is the bottom line. I’m disappointed that I didn’t get it done and it is my responsibility to get it done. I have no bitter feelings, but this is a business and I wish we would have produced better results on the field. There are high standards at Florida, as can be expected, especially after the success under Urban Meyer, which included winning two national titles before falling off a figurative cliff. Instead of bouncing back into national prominence, which seemed to be happening after the 2012 season, the Gators sank to lows that they don’t really remember being in, with the 4-8 record from 2013 being their first losing season since 1979. This season? They have a chance to actually finish 8-4. Two more games left to play: An FCS opponent, Florida and then possibly a bowl game. But Florida finish at 4-4 in the SEC and showing no real improvement on offense, the big problem for Muschamp over the last two years. It seemed impossible for him to save his job but there was a feeling that the win over Georgia might begin a winning streak that might give him a chance. Losing to South Carolina after another poor performance with the ball was the final straw. Upon evaluation of our football program, we are not where the program needs to be and should be. I’ve always said that our goal at the University of Florida is to compete for championships on a regular basis. Muschamp, who served as a defensive coordinator under Mack Brown at Texas from 2008 to 2010 before taking the Florida job, will be paid $6.3 million as a buyout. He has a 27-20 record as the head coach of Florida and only 17-15 in the SEC. The Gators finished the season ranked under him only once, in 2011, making the Suger Bowl and losing to Louisville. That was the only year in which his team finished with a winning record in the SEC.